Dr. Reaman is associate director for oncology science in the Office of Hematology and Oncology Products in the Center for Drug Evaluation and Research at the U.S. Food and Drug Administration (FDA), and is also the associate director (acting) of pediatric oncology for the FDA’s Oncology Center of Excellence. He is known for his extensive work in the biology and treatment of childhood acute leukemia and new drug development for pediatric cancers. He is the author of more than 300 peer-reviewed manuscripts and 16 book chapters. He is the founding and immediate past chair of the Children’s Oncology Group, comprised of over 200 member institutions dedicated to clinical, translational and epidemiology research in childhood cancer, and is a professor of pediatrics at the George Washington University School of Medicine and Health Sciences. 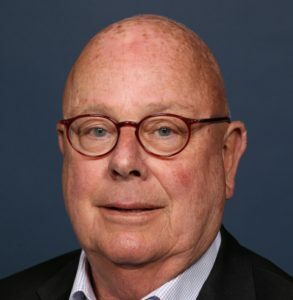 Dr. Reaman is a member of the division of hematology-oncology at the Children’s National Medical Center in Washington, D.C., which he directed for more than 17 years, and is executive director emeritus at the Center for Cancer and Blood Disorders. He has served on the editorial boards of Leukemia, the Journal of Clinical Oncology, the Journal of Pediatric Hematology/Oncology, Pediatric Blood & Cancer, The Oncologist, Cancer, the National Cancer Institute (NCI) Physician Data Query and www.PLWC.org (People Living with Cancer); and as an associate editor for Cancer, and Leukemia and Lymphoma. He was executive director for scientific and medical affairs for the National Childhood Cancer Foundation where he also served on its board of trustees, and chaired the American Cancer Society’s Task Force on Children and Cancer where he was also a board member. Dr. Reaman also served on the board of directors for the American Society of Clinical Oncology where he served on the patient education committee, the education and program committees, the grant selection committee, and was chair of the membership committee. He chaired the pediatric subcommittee for the FDA’s Oncologic Drugs Advisory Committee and was a member of the National Institutes of Health Roadmap Working Group. He currently serves on the scientific steering committee of the United Kingdom Children’s Cancer and Leukaemia Group, the external advisory board of the Cancer Treatment and Research Center at the University of Texas Health Science Center at San Antonio, and is a senior advisor to the Middle East Childhood Cancer Alliance. He is a member of the data safety monitoring board of the NCI’s clinical oncology program, and a member of the NCI’s Translational Research Working Group.